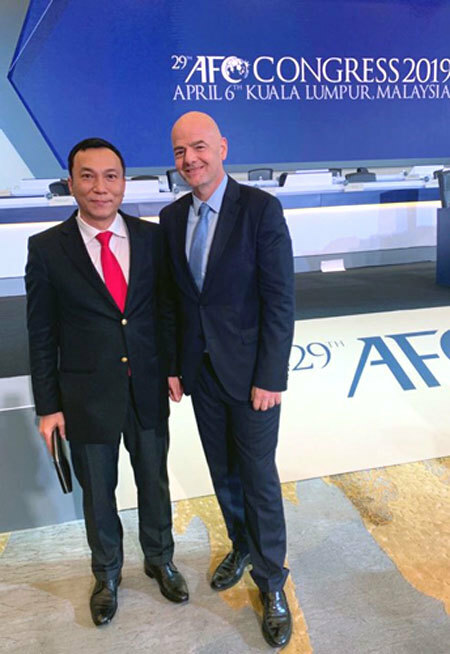 FIFA Chairman Gianni Infantino has sent his congratulations to deputy chairman of VFF Tran Quoc Tuan, who was recently voted on to the Asian Football Confederation Executive Committee for the third consecutive time. Tuan was re-elected to the AFC Executive Committee at the 29th AFC Congress, which concluded in Kuala Lumpur, Malaysia over the weekend. Tuan will work for a four-year (2019-23) term. In his letter, Infantino showed his appreciation for Vietnam’s football achievements in recent years, which contributed to the common development of Asian football. Infantino also said that with Tuan’s role in the AFC, he would help Vietnam have more opportunities to promote football in the country and contribute to the progress of regional, continental and world football. Meanwhile, AFC chairman Salman Bin Ibrahim Al-Khalifa said with the deep knowledge of Tuan on issues Asia is facing, Tuan would have precious contributions to develop Asia football stronger. Vietnam were runners-up at the 2018 AFC U23 Championship, finished fourth in men’s football at the 2018 Asian Games, won the 2018 AFF Suzuki Cup and reached the quarter-finals at the 2019 Asian Cup. According to Tuan, although Vietnam gained many outstanding results, it was only the beginning. “Our task is to maintain and create many resolutions to develop Vietnamese football comprehensively so that we can make stable results,” said Tuan. Tuan also affirmed that he would try his best to help Asian football grow after his re-election. 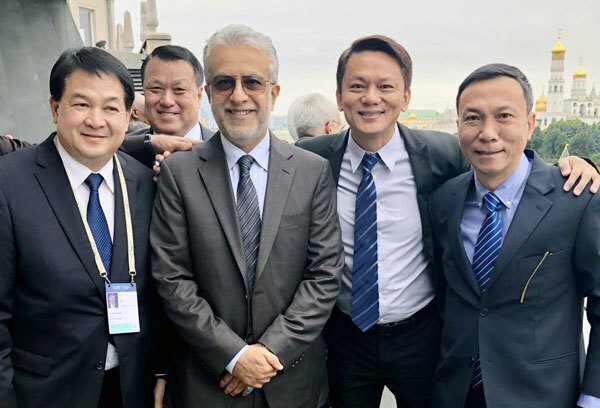 Earlier, Tuan was voted a co-opted member of the AFC’s Executive Committee for the 2011-2015 tenure, the first time in history Vietnam was represented on the committee. During his tenures, Tuan was valued as a dynamic member who contributed to the AFC’s key plans including the decision to raise number of teams in the Asian Cup from 16 to 24 from 2019.